Brussels, Belgium and Cary, NC, USA, June 21, 2016 – Registration for the second OUTLOOK™ Plus Latin America Conference, March 7-9, 2017 in São Paulo, Brazil is now open, www.inda.org/events/opla17, event organizers EDANA and INDA have announced. Dedicated to delivering the latest insights and intelligence in the hygiene, personal care, and medical market segments in Latin America, the three-day conference at the Grand Hyatt São Paulo will also include tabletop displays for local and international companies to showcase their products and services. 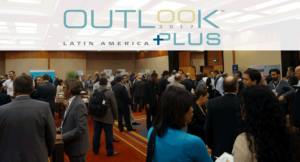 EDANA and INDA, the two global trade associations for the industry organizing OUTLOOK™ Plus Latin America, will build on the success of last year’s inaugural event held in the same city that attracted more than 250 attendees. Latin America represents a key region for future growth and investment in nonwovens. March 7-8: Latest developments in nonwovens for the Latin American and global absorbent hygiene and personal care products markets, plus an analysis of trends in components and raw materials for those products will be highlighted. Tabletop displays will be held on these two days. March 9: Additional in-depth exploration of medical nonwovens and their role in a healthy society will be addressed. A cocktail reception with networking for registered delegates will be held on March 8 at the Jockey Club de São Paulo. Additional information on the 2017 program will be announced shortly, and updated on the INDA and EDANA websites. ABINT, the Brazilian Technical Textiles and Nonwovens Association, also supports the event. For information on reserving a tabletop display, contact Joe Tessari, jtessari@inda.org, +1 919 345-3729. INDA, the Association of the Nonwoven Fabrics Industry, serves hundreds of member companies in the nonwovens/engineered fabrics industry in global commerce. Since 1968, INDA events have helped members connect, learn, innovate, and develop their businesses. INDA educational courses, market data, test methods, consultancy, and issue advocacy help members succeed by providing them the information they need to better plan and execute their business strategies. For more information, visit www.inda.org or call 919-459-3700.